This webinar to provided to demonstrate how to teach our “values-based” Exploring Relational Wisdom Seminar, which may be taught in businesses, schools, hospitals, military bases, police and fire departments, as well as other secular settings (see RW Pastor of the Year). This event is designed primarily for Certified Relational Wisdom Instructors but is open to anyone who has an interest in learning more about our values-based materials. There is no charge but advance registration is required. This special focus group is responsible for developing RW360’s new RW Coaching Program, which is scheduled for release in the last half of 2019. Cost: $15.00 per person. Register now through the green “Tickets” button and bring your payment to the event. You will check in at the registration table, pay, and pick up the resources needed for the seminar. A married or newlywed couples retreat sponsored by the Point Community Church. This years theme will be “Developing Relational Wisdom”. We will have Dave Mikulsky from Relational Wisdom 360 Ministries sharing relational insights that will greatly impact your marriage! Spaces are limited so please register early! Many churches and ministries are effective at teaching and ministering to their members, but they are typically less effective at serving and evangelizing the unchurched people in their communities. RW360 has developed a “values-based” line of resources that churches can use to take biblical principles on relationships, and the gospel itself, into businesses, schools, government offices, military bases and other secular venues. Although these “common grace” materials contain no explicit Bible references, their focus on personal values, worldview and emotional intelligence opens a door for Christians in an audience to share their faith. 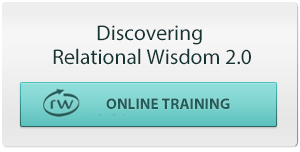 Moreover, the written teaching resources, smartphone app and online training that is available to attendees contain links to the faith-based versions of relational wisdom, which include a clear gospel presentation. This webinar describes how churches and ministries can equip teams to take this training—and the gospel itself—into a wide variety of secular settings in their communities (see www.rw360.org/vb-summary and www.rw360.org/vb-rw a summary of the values-based paradigm and examples of how to use these concepts for community engagement and evangelism).